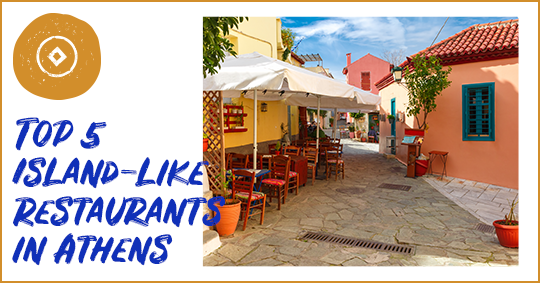 Well, don’t you worry as we have put together a list for you with the top 5 island-like restaurants in Athens that will make you feel as if you were on holiday. An all-time classic, set in an exclusive area of the south coast with incredible seafood and majestic views to Vouliagmeni Bay. 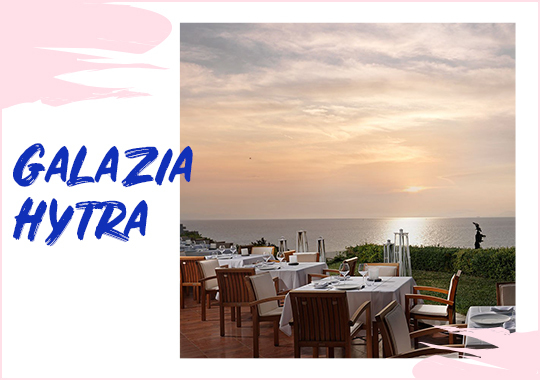 The perfect place to enjoy a delicious meal while encircled by the pine trees, the azure sea and the starry sky, a classical choice for jet-setters and celebrities. 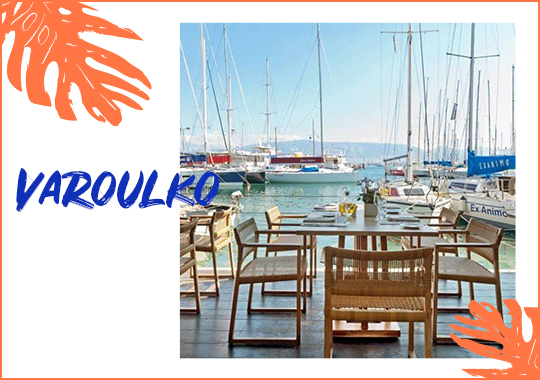 Head to the beautiful marina in Mikrolimano and get ready to enjoy a Michelin awarded selection of fish specialties orchestrated by the chef Lefteris Lazarou. The amazing combination of fresh fish and creative seafood dishes, along with the high quality wines and scenic setting will take your breath away. 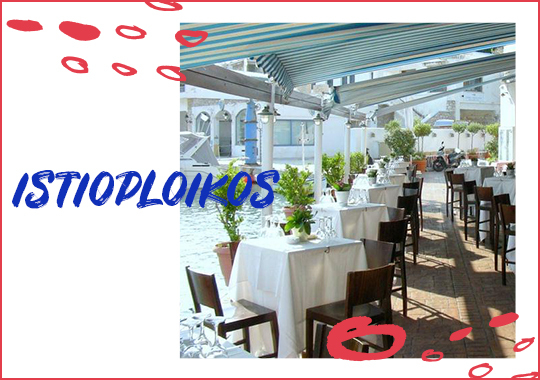 Resembling a luxurious cruise ship, Istioploikos is an exquisite restaurant with scrumptious Mediterranean flavors overlooking the marina that is filled with luxurious yachts. Make sure to try the lobster giouvetsi. Make your way to The Westin Athens at Asteras Vouliagmenis to enjoy the amphitheatric setting amidst the colorful garden and scintillating waters of the sea allowing for amazing views to the sea and sunset. Enjoy the exquisite ambiance and aesthetic, the delightful Mediterranean dishes and fresh seafood by chef Tasos Mantis. 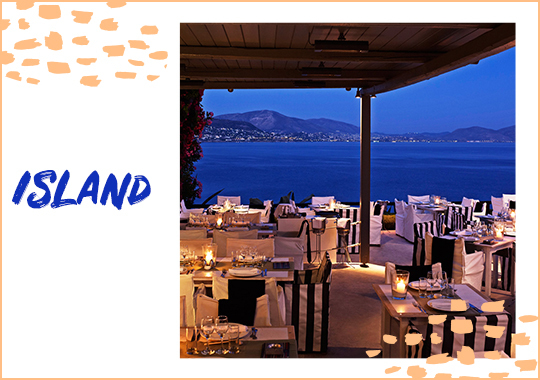 Right by the famous club of the Athenian Riviera, you will find the Island’s restaurant overlooking the scintillating sea. Taste some of the finest meat and fish recipes, sushi choices as well as handmade pasta prepared by the awarded chef Nikos Skliras. Combine the delicious flavors with the majestic views, the exotic cocktails and lounge music and enjoy the most romantic dinner by the sea. 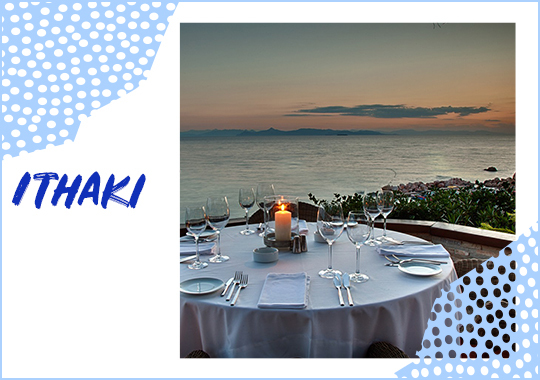 So, before going on holiday, get away from your everyday routine with a dinner for two or even more at one of the top island-like restaurants of Athens. This entry was posted in Athens, Destinations and tagged gastronomy. Bookmark the permalink.